When it comes to choosing perennials for small spaces, your options are more varied than you may initially think. With choices ranging from flowering plants to dwarf shrubs and ornamental grasses, you can add form and function without resorting to tall plants. Low-growing perennials are ideal for filling small spaces, the front of landscape beds and along walkways, driveways and garden steps. Blanket flower (Gaillardia x grandiflora), which has daisylike blooms. Blanket flower varieties bloom from early summer through early autumn, adding colors such as yellow, orangeand red to the garden. Look for dwarf varieties that grow 10 to 12inches tall. 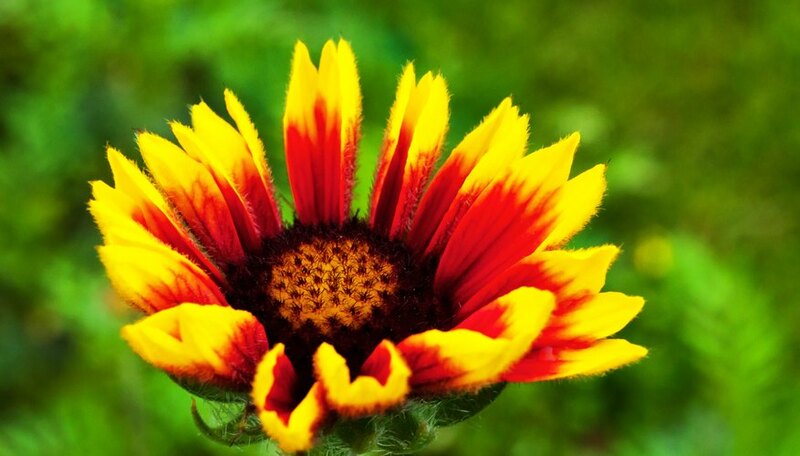 For example, the cultivar 'Sunset Cutie' (Gaillardia x grandiflora 'Sunset Cutie') reaches a height of 12 inches with an 18-inch width or spread. It is a perennial, or hardy, in U.S. Department of Agriculture plant hardiness zones 5 through 9, doing well in a site exposed to full sun. 'Kim's Knee High' purple coneflower (Echinacea purpurea 'Kim's Knee High'), a dwarf variety that typically grows quickly to a height and width of 2 feet. Its rose-pink flowers add color while attracting butterflies throughout summer. It is hardy in USDA zones 4 through 9 and grows well in areas with full-sun exposure. 'Little Lanterns' columbine (Aquilegia canadensis 'Little Lanterns'), which adds a splash of color to shady areas. Growing 12 to 18 inches tall, it flourishes in full to partial shade, where from mid-spring to midsummer its vivid red and yellow flowers attract hummingbirds. It is hardy in USDA zones 3 through 8. 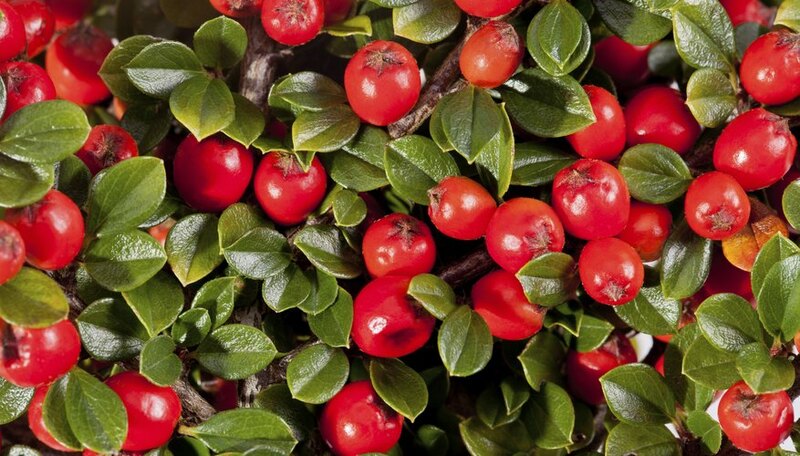 Cranberry cotoneaster (Cotoneaster apiculatus), a shrub that grows about 3 feet tall and 6 feet wide, making it suitable as a low-growing hedge. Its spreading branches create a herringbone pattern, and it has tiny, pink flowers in spring. During winter, this deciduous shrub has lost its leaves but is adorned with red berries. Hardy in USDA zones 4 through 7, cranberry cotoneaster grows best in full to partial sun. 'Goldflame' spirea (Spiraea x bumalda 'Goldflame'), a low-maintenance cultivar that grows 3 to 4 feet tall and has pink flowers throughout summer. This deciduous shrub's foliage starts as a bronze color and matures to a yellowish-green, followed by a copper color in fall. Hardy in USDA zones 4 through 9, 'Goldflame' is heat-tolerant and grows best in areas with full sun. Variegated Japanese sedge (Carex morrowii 'Aurea variegata'), which grows about 1 foot tall and wide. This evergreen grass features shiny, green blades with creamy yellowish-white stripes. It requires full to partial sun exposure and is hardy in USDA zones 5 through 9. 'Bolder Blue' fescue (Festuca glauca 'Boulder Blue'), an evergreen that features dark, metallic blue blades. This tidy-looking specimen grows quickly to a height of 8 inches with a similar spread. It is hardy in USDA zones 4 through 9, growing well in areas with full-sun exposure. Miniature brass buttons (Leptinella gruveri), a fast-grower that reaches a height of only 1 inch and a spread of 8 to 12 inches. This evergreen fills areas quickly and helps keep out weeds. Miniature brass buttons grows well in areas with partial sun or full shade. It has inconspicuous green flowers in summer, and it is hardy in USDA zones 7 through 9. 'Baby Tears' stonecrop (Sedum album chloroticum 'Baby Tears'), which grows 4 to 6 inches tall with a 12-inch spread. This drought-tolerant evergreen belongs to the succulent family and is hardy in USDA zones 4 through 9. It displays white flowers from late spring through summer. Use it along pathways and in rock gardens, where its rosettes of teardrop-shaped foliage contrast with the surrounding hardscape.